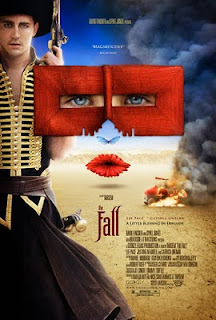 The Fall will not be believed when seen, when I tell you that there is no CGI in the film what-so-ever. The locations and general eye-candy which fly across the screen look too good to be true. But it is true, and it is real! Director Tarsem Singh spent 12 years preparing for the production, used his own money and shot the film in 18 different countries. All the places the film takes you to really exists in real life, even though they look so surreal and wonderful you'll be thinking you're dreaming. The sharp eyed film fanatic will recognize his style from his only other film The Cell. The other aspects of the film (story, acting, music, etc) is ok, but not great. But it doesn't matter in the least. The visual trip portrayed in The Fall will leave you dumbstruck.